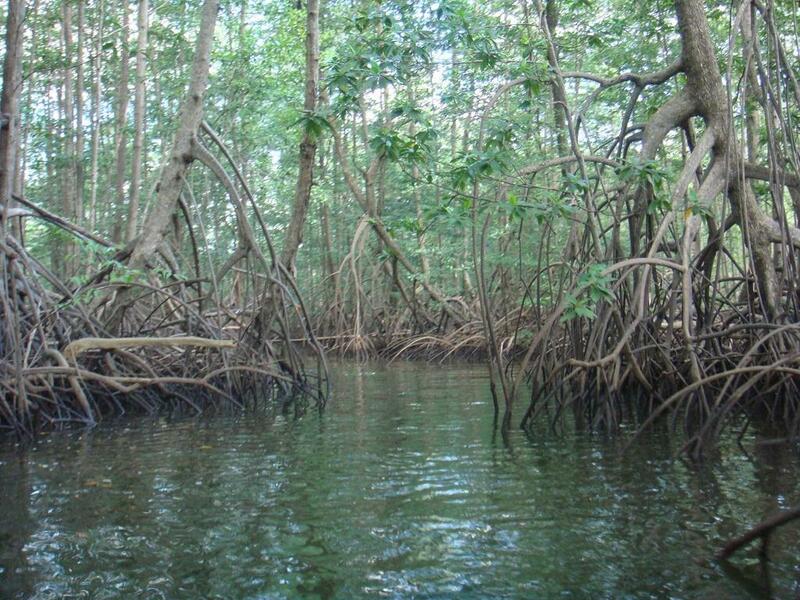 A recent research has used mathematical simulations to study the effect of mangrove forests on elevated sea level. Researchers have predicted what would happen to estuaries and river deltas when sea levels rise. For this, they selected the New Zealand mangrove forest data as the basis of their study. They found that areas without mangroves are likely to widen from erosion, as more water would encroach inwards whereas mangrove forests prevent this effect. This is likely due to soil building up around their mesh-like roots and acting to reduce energy from waves and tidal currents, scientists say. Estuaries and recesses in coastlines that form bays receive the run-off from erosion on steep catchments which give them the tendency to fill in over time. As they fill in, movement of tidal currents over the shallow areas create networks of sandbanks and channels. The sand banks grow upward to keep pace with water level changes while the channels get deeper to efficiently drain out the excess water out to the sea. The study shows that mangroves can facilitate this process by adding leaf and root structures into the accumulating sediment, which increase the elevation while enhancing the trapping of new sediments arriving from the catchment. In modelling of sea level rise in the study, the ability of mangrove forests to create a buffer between sea and land occurs even when the area is subjected to potential sea level rises of up to 0.5 mm per year. Even after sea level rise, the mangroves showed an enhanced ability to maintain an elevation in the upper intertidal zone, experts add. According to Professor Karin Bryan from the University of Waikato, New Zealand, the spread of mangroves is changing the country’s coastal landscape. Studies have shown mangroves have the ability to remove carbon from the atmosphere and protect people from natural hazards such as tsunami. The research team hopes that this work will enhance the case for protecting global fringing wetlands from the threats of drainage and clearance caused by development and aquaculture pressures.